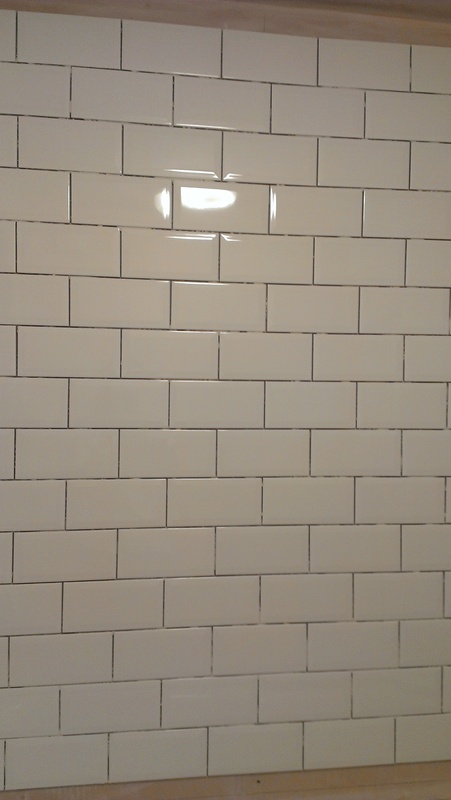 One of our regular clients, Oscar called us for a tiling quotation for his bathroom in East London. Oscar wanted the brick effect white tiles on walls above the bath. 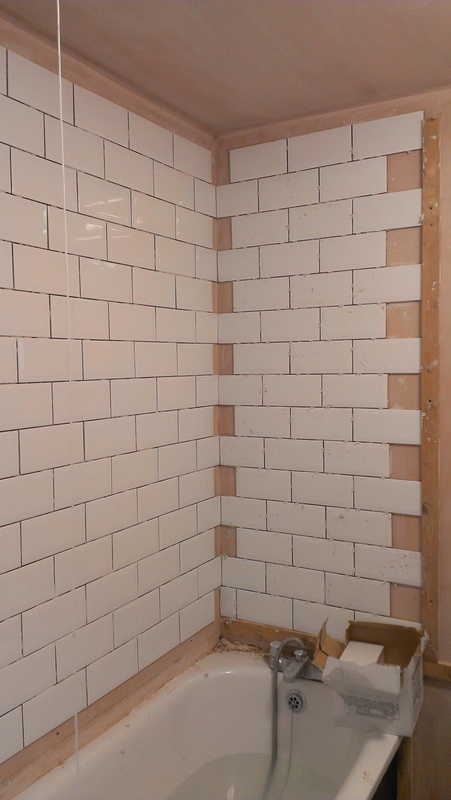 Our tilers started works on the biggest wall first to establish good levels and lines. 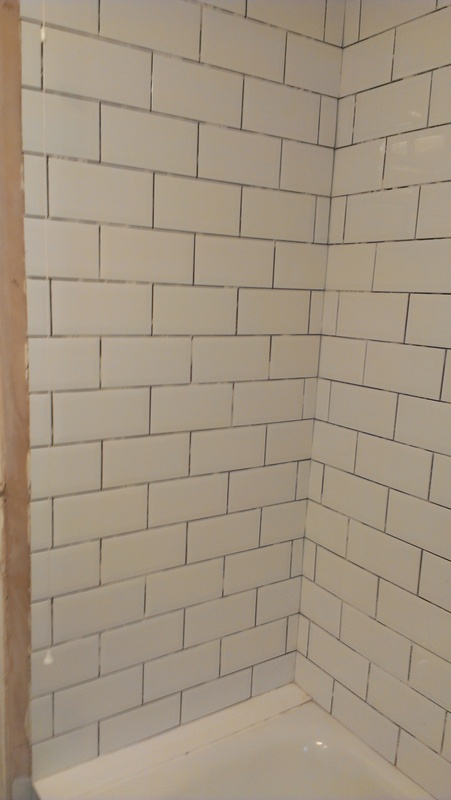 While we were tiling the walls Oscar decided to have the bathroom floor done by our company too – as we were doing such a great job! 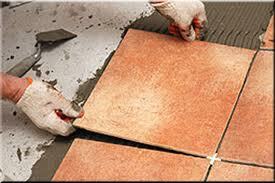 Tiling the floor meant that the whole process will take a little bit longer then originally anticipated. 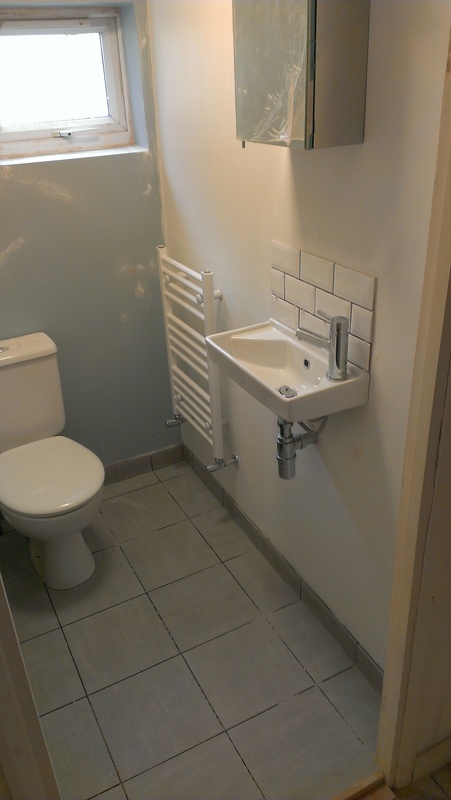 This entry was posted in Job reviews and tagged tilers London.